With the release of the Code of Practice for Managing The Risk Of Falls At Workplaces, many companies are still not fully aware of how it will effect their business and the steps they will need to take to ensure that they continue to be legally compliant. To assist you, height safety specialist, Carl Sachs of Workplace Access & Safety, has outlined what you can expect to change, the implications for workplaces and how to prepare for a new era in safe work at heights. Read about the new changes to the Code of Practice for Managing The Risk Of Falls At Workplaces. Everybody wants to prevent fatal falls but getting height safety right is anything but straightforward. Until now, each state has had its own set of legislation for height safety. This has made working at heights difficult to manage, particularly for organisations and companies who need a consistent height safety solution for sites across Australia. Specialist OH&S lawyer Michael Tooma of Norton Rose says “if you look at the fatalities that have happened between July of last year and March of this year 12% of them have been related to fall prevention. Thirty-three fatalities have occurred because of our failure to manage fall prevention properly. That makes it an important issue for the health and safety of people out there in the workplace and it makes it a big issue for all businesses out there in terms of their compliance”. Currently, the law deems the “controller of the workplace” responsible for ensuring a workplace is safe. But debate has always raged about exactly who that person is. Defining the controller has been particularly problematic in tenant/landlord relationships when it comes to deciding who should pay for safe access equipment for working at heights. Instead, the new model Work Health and Safety Act introduces the concept of the Person Conducting a Business Undertaking (PCBU). The PCBU may be the landlord, tenant, director, site foreperson or manager of an enterprise or site. Rather than pinpoint a particular individual, the WHS Act emphasises people taking steps that are within their control to reduce risks in the workplace. This may be as a simple as telling contractors not to access an area altogether until safe access has been put in place and ensuring the task can be done safely. There will be an expectation that all people behave in a reasonable manner rather than trying to apportion responsibility. State-based legislation and the national code of practice for fall prevention applied once a person was working at a height of 2 metres or more. This limit is about to be replaced with an obligation to minimise the likelihood of a fall from any height. In real terms, the law will encompass falls from low level platforms and ladders, bringing the courts’ attention to activities that the existing legislation might have excluded. The five-level hierarchy of control will be the major change for PCBUs in NSW, Queensland and South Australia. For many years, those states either used a three-level hierarchy, or simply tried to apply the classical hierarchy for other risks to height safety (elimination, substitution, engineering, administrative controls, PPE). The five-level hierarchy of controls has now been brought into line with that of the national code of practice and Victoria’s fall prevention regulations. The five-level system is good news for PCBUs because it takes human behaviour into account and cost-effectively deals with risk reduction. When correctly applied, it reduces the risk of falls and lowers the cost of control measures by calling for higher order controls like walkways and guard rails. The more commonly used lower order controls such as administrative controls or procedures demand much more documentation and maintenance. The draft code doesn’t pull any punches when it comes to suspension trauma and toxic shock. It explains in detail the consequences of being suspended in a harness for period of time and alerts the reader to the likelihood of death by suspension. The requirements for rescue training, supervision, training and practicing rescues is spelled out clearly. Self rescue is no longer an option and nobody should use a fall arrest system unless there is at least one other person on site to rescue them if they fall. The second trained person must be on standby to execute the rescue without relying on any assistance from the suspended person. Apart from the costs of training, supervision and rescue equipment, this significantly increases the labour cost of working in a harness. The model code details ladder use, acknowledging that this may be an option when all other options have been exhausted. 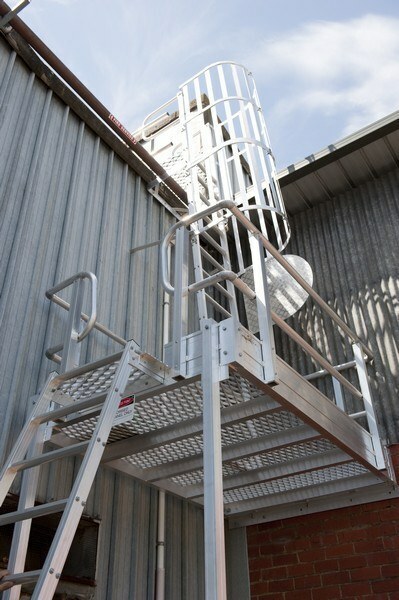 A new requirement is that of regular inspection of ladders and maintenance. 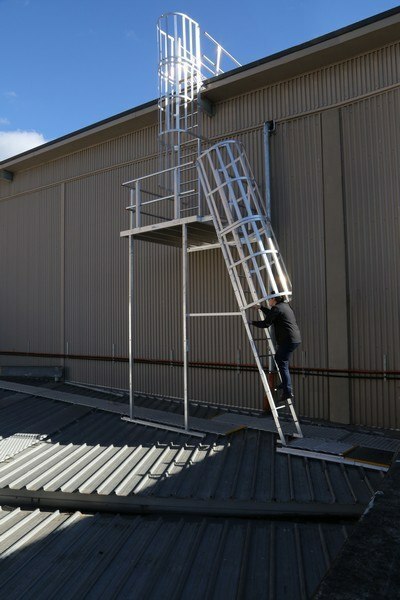 This may increase the cost of ladder use and is likely to steer users towards higher order controls like scaffold and elevated working platforms. 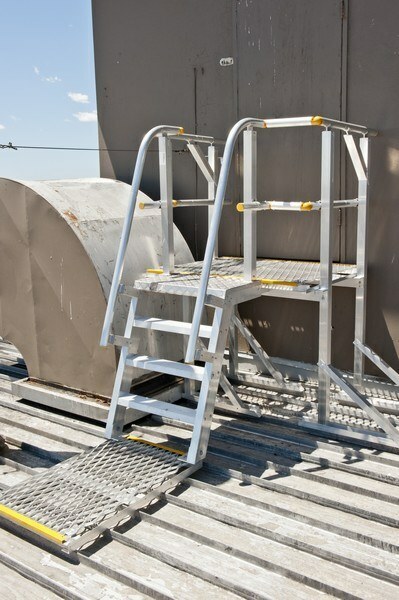 AS/NZS1657, the Australian standard for ladders, guardrail, platform and walkways has been referenced in the new Code of Practice. Apart from being the collective knowledge of industry experts, referenced standards are admissible in a court of law as evidence of what is required. AS/NZS1891 covering industrial fall arrest systems and devices has also been widely referenced. These standards have been around for many years. AS/NZS1657 since 1992, and AS/NZS1891, since 2001 in various forms. AS/NZS1657 is also referenced in the National Construction code (formerly the BCA), making it essential to meet both, if you’re going to comply with this legislation. 08. What if someone falls from height? Fall from a rooftop and only a miracle will save you. The penalties for those held responsible for tragic falls are also about to get much steeper. The model regulations prescribe far more onerous penalties on organisations and duty holders. Categories have now been created which are based on the degree of culpability and degree of harm. “If there is a serious injury or fatality usually that will result in quite an extensive investigation. That investigation will often lead to, if it is a fatality, a coronial inquest, a lot of scrutiny on the organisation involved and all the individuals and organisations involved. There will be a lot of media attention, there will be a lot of attention by unions, and there will be a lot of attention by members of the public. It is a long drawn out process that often culminates in a prosecution. And it might be a prosecution of the company or it might be the prosecution of individuals like officers of the company and the right personal liability provisions, personal duties under this legislation in relation to failure to exercise due diligence to ensure compliance by the company. In addition to the penalties that can be dished out here which are up to $3,000,000 and five years imprisonment for individuals, the loss of reputation will be significant”. Before you begin preparing for new regulations, start by ensuring height safety at your workplace complies with existing height safety laws. In practical terms, 90% of the laws haven’t changed materially, however directors, CFO’s and duty holders are now expected to take a very active role in meeting their organisations obligations through the due diligence provisions. Methodically identify all fall hazards in the business or undertaking. Reconsider future controls in light of the draft hierarchy of controls for working at heights, particularly if you’re based in NSW, Queensland or South Australia and include all risks irrespective of height. Allocate a risk rating, so that rectification work can be prioritized and dealt with systematically, and control activities rated high-risk immediately. We’re in a period of transition.Your site will need to be fully compliant by the time these model regulations become law, so it’s best to get on with it now. 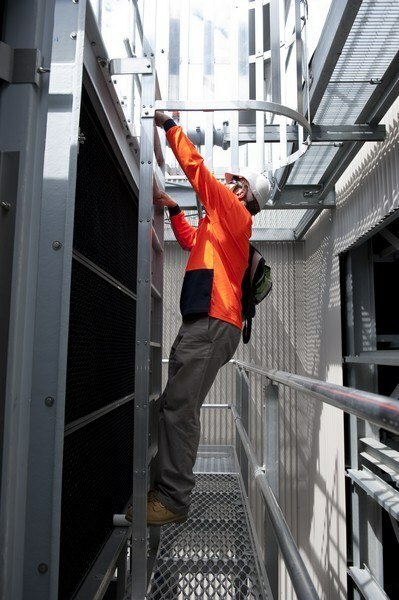 Our team of height safety specialists can guide you through everything you need to know regarding your height safety systems and how it will be effected by changes in the Code Of Practice. From site inspections to equipment audits and compliance certification, we can help to ensure that your building and equipment is legally compliant. Contact us today on 1300 552 984 to speak to a member of our team or alternatively, arrange an inspection today.